Synthetic motor oil has been around for a long time in Denver and more and more new cars are leaving the auto manufacturers factories with synthetic oil in their engines. But a lot of car owners still don’t really know much about it. Let’s start with conventional oil – the kind Denver folks are familiar with using in their engines. Conventional oil is made up of naturally occurring hydrocarbon chains, which means its molecules are long and have various lengths, ( like a pile of pencils ), some of them are new and some of them are used. Synthetic oil is man-made. 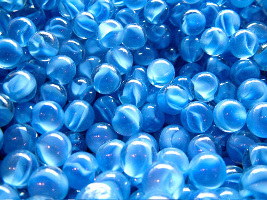 Its molecules are more uniform and regular in shape -more similar to marbles than pencils. Some synthetic oil starts with a petroleum base that’s modified and others are entirely synthesized from other materials. Synthetic motor oil works best in both hot and cold Denver temperatures. It’s more chemically stable so it doesn’t readily evaporate or breakdown in the high heat produced inside your vehicles engine. This means it resists turning to sludge, which is a real engine killer. Remember the marbles and pencils thing we were talking about? Well, that makes synthetic oil more slippery than conventional oil which means less friction in your engine when you use synthetic oil. Your vehicle’s engine runs cooler, wears less and lasts longer. You also get a boost in power and maybe even an improvement in fuel efficiency. Synthetic oil also lasts longer so you change it less often – which is great for the environment. With longer oil change intervals, you will need to use an oil filter specifically built for the longer service life of synthetic oil. Talk with your cheerful Express Car Care service professional about synthetic oil and synthetic blends -they might be just what you need to improve engine performance and extend the life of your vehicle. Give us a call at 303-691-2760 or stop by and see us. Thank you, for your tips. It’s really useful tips. I have been using synthetic oil for long. I hope you will post more article. Thanks for enlightening me with this wonderful knowledge about synthetic oil. Thanks for sharing this useful guide about synthetic oil. I also have the same opinion as you that perfect car care will improve engine performance and extend the life of your vehicle.